There are 165 Assisted Living Facilities in the Towson area, with 8 in Towson and 157 nearby. The average cost of assisted living in Towson is $3,250 per month. This is lower than the national median of $3,346. To help you with your search, browse the 379 reviews below for assisted living facilities in Towson. On average, consumers rate assisted living in Towson 3.8 out of 5 stars. Better rated regions include Timonium with an average rating of 4.7 out of 5 stars. Caring.com has helped thousands of families find high-quality senior care. To speak with one of our Family Advisors about assisted living options and costs in Towson, call (855) 863-8283. Historic Towson, Maryland, is part of Baltimore county and is the second most populous county seat in the United States with 55,197 residents, 16.1 percent of whom are seniors. The community is home to eight assisted living facilities, with an additional 157 in nearby areas, to help support this population. These assisted living facilities are called Assisted Living Programs (ALPs) in both Towson and Maryland state as a whole, and they are overseen by the Maryland Department of Health and Mental Hygiene. Seniors in Towson can benefit from some retirement-friendly tax breaks to help pay for assisted living services. The state of Maryland only partially-taxes public pension income and withdrawals from retirement accounts, and does not levy any tax on social security. It does, however, fully tax private pensions. Crime in Towson is well below national average, which means seniors can feel secure in their choice of assisted living facility. Property crime scores 17.5 out of a possible 100, with one being the safest possible environment. This compares to a United States average of 22.7. Violent crime is also low, with a rating of 26.7 which is nearly eight point lower than the average in the rest of the country. Towson gets a lot of sun for seniors to enjoy, with an estimated 212 sunny days per year. This is slightly higher than what the rest of the country sees on average. Summers can, therefore, get quite hot, with an average July high of 92 degrees. Living in Towson can be quite expensive, so seniors should plan for the extra costs when deciding on an assisted living facility. The cost of living is nine percent higher than the Maryland average, and 33.6 percent higher than the rest of the United States. The Towson area is home to world-class medical facilities, including the University of Maryland St. Joseph Medical Center, in the event of medical emergencies or illness. Towson is a centuries-old community with well-preserved historical attractions for seniors to explore, such as the Hampton National Historic Site. The local university also hosts the Asian Arts & Culture Center. Assisted Living costs in Towson start around $3,250 per month on average, while the nationwide average cost of assisted living is $4,000 per month, according to the latest figures from Genworth’s Cost of Care Survey. It’s important to note that assisted living rates in Towson and the surrounding suburbs can vary widely based on factors such as location, the level of care needed, apartment size and the types of amenities offered at each community. 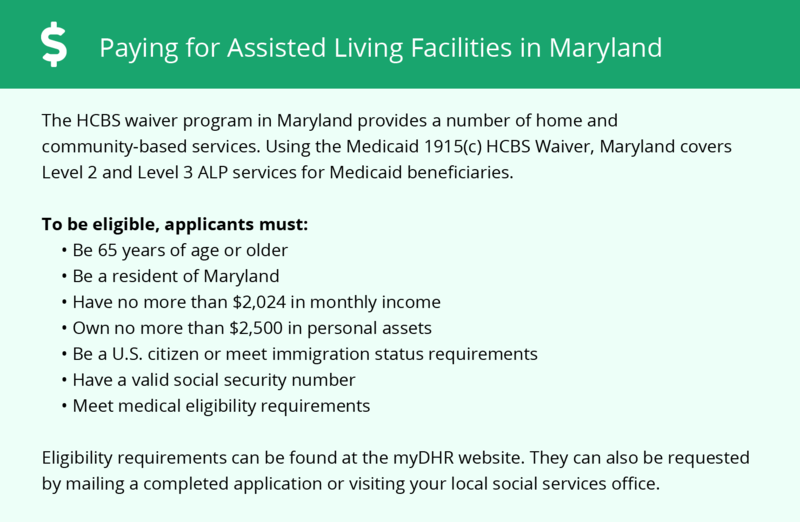 Seniors in Towson who need help affording assisted living services can take advantage of the Senior Assisted Living Group Home Subsidy Program offered by the state of Maryland. The program assists low income seniors with a subsidy of up to $650, which is paid directly to the ALP provider. Some seniors may need to subscribe to a waiting list before they are able to benefit from the program. Towson and the surrounding area are home to numerous government agencies and non-profit organizations offering help for seniors searching for or currently residing in an assisted living community. These organizations can also provide assistance in a number of other eldercare services such as geriatric care management, elder law advice, estate planning, finding home care and health and wellness programs. To see a list of free assisted living resources in Towson, please visit our Assisted Living in Maryland page. Towson-area assisted living communities must adhere to the comprehensive set of state laws and regulations that all assisted living communities in Maryland are required to follow. 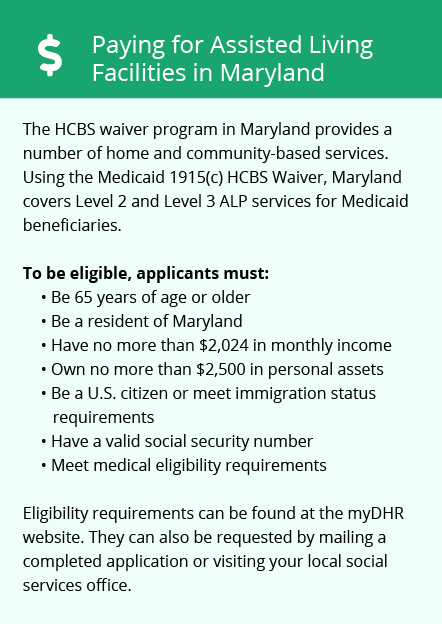 Visit our Assisted Living in Maryland page for more information about these laws.